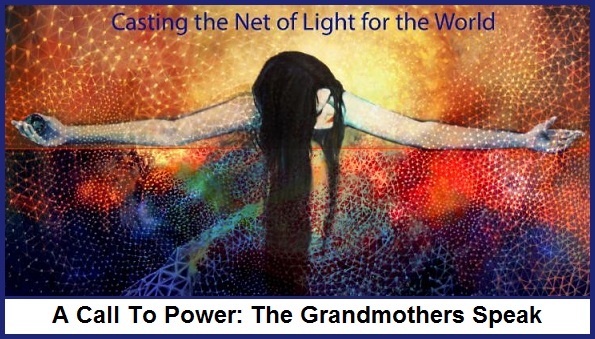 ‘ A Call To Power: The Grandmothers Speak’. Please think of us and join with us heart to heart. From Thursday through Sunday we’ll be working among the great rocks of Joshua Tree National Park to link this powerful site in Southern California with all sacred places on Earth. Uluru, Stonehenge, Machu Pichu, Mount Kailash, Glastonbury, Sedona, and thousands of others. Together we will magnify the presence of the Net of Light to hold both ourselves and the Earth steady during these shaky times. Along with a Native American singer, we’ll call on the ancestors of our family lines and of the Earth itself, praying for reconciliation within the United States of America and throughout the world. We will immerse ourselves in prayer, meditation and sacred song, performing a ceremony of gratitude and reconciliation among the great rocks of Joshua Tree. Please connect with us within the Net of Light and link your hearts with ours as together we ask that blessings rain down on all beings. ~~ The Great Council of the Grandmothers. Our world is in turmoil. 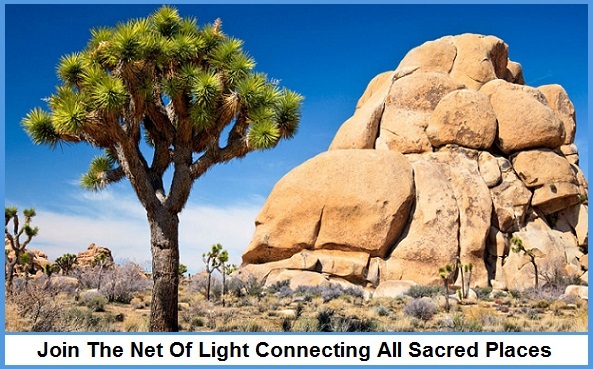 The Net of Light Gathering in the desert of Joshua Tree National Park is being held in response to this great need. Please join me (from our homes) with those gathering Thursday, March 2 through Sunday, March 5, to work intensely for ourselves and our beloved planet. I recommend Sharon McErlane’s books, A Call To Power: The Grandmothers Speak & Our Love Is Our Power.